Located in Cascais, The Charm of Cascais is on the boardwalk, within a 5-minute drive of Boca do Inferno and Manuel Possolo Hippodrome. 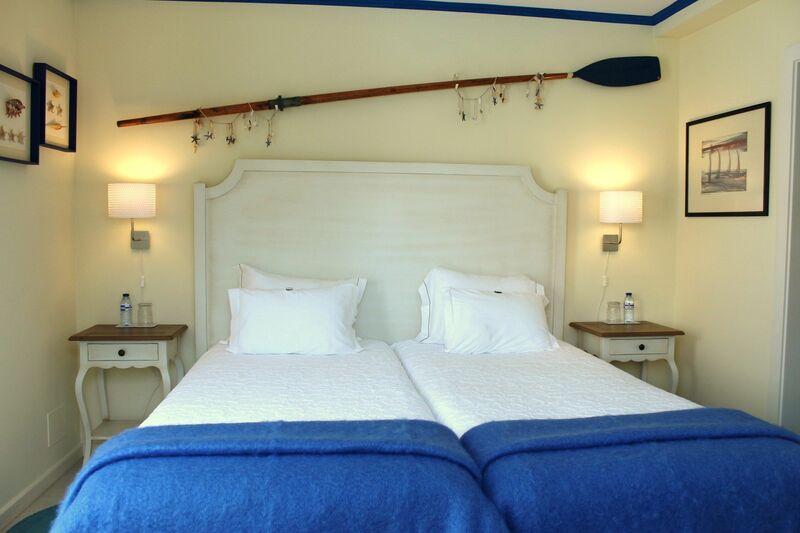 This 5-star guesthouse is 1 mi (1.7 km) from Paula Rego Historical House and 1.1 mi (1.8 km) from Cascais Cultural Center. Make yourself at home in one of the 8 air-conditioned rooms featuring LED televisions. Complimentary wireless Internet access keeps you connected, and cable programming is available for your entertainment. Bathrooms have designer toiletries and bidets. Conveniences include safes and desks, and housekeeping is provided daily. Enjoy recreational amenities such as an outdoor pool and bicycles to rent. Additional amenities at this Edwardian guesthouse include complimentary wireless Internet access, concierge services, and a fireplace in the lobby. Grab a bite to eat at The Charm, a poolside restaurant where you can enjoy drinks at the bar, take in the garden view, and even dine alfresco. You can also stay in and take advantage of the room service (during limited hours). Unwind at the end of the day with a drink at the beach bar or the poolside bar. A complimentary buffet breakfast is served daily from 9:00 AM to 10:30 AM. Featured amenities include limo/town car service, dry cleaning/laundry services, and multilingual staff. A roundtrip airport shuttle is provided for a surcharge (available 24 hours), and self parking (subject to charges) is available onsite. Discover all I Cascais can offer you!